"Mudbound" tells an epic story in a manner that feels like the kind of movie they don't make anymore. Set in the American South, before and after World War II, Carey Mulligan, Jason Clarke, and Garrett Hedlund play poor, white Mississippi farmers, whose lives intertwine with poor. black sharecroppers, played by Mary J. Blige, Jason Mitchell, and Rob Morgan. 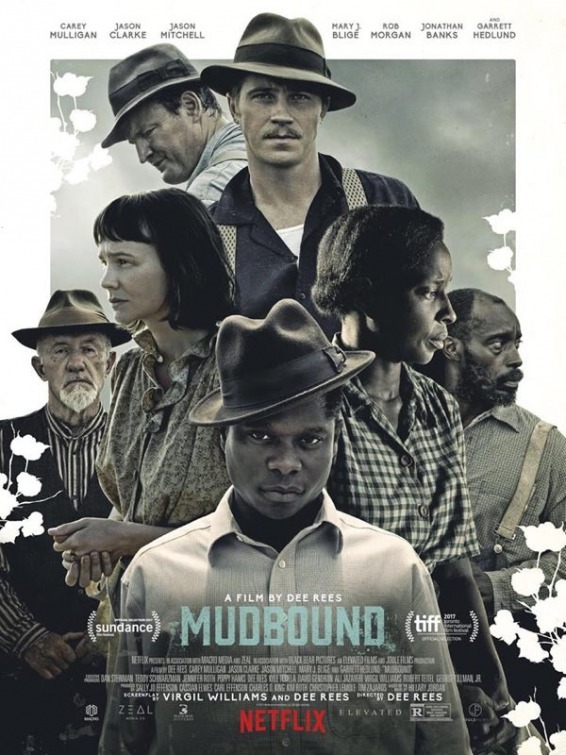 "Mudbound" rises above the usual Southern Gothic, subtly hinting at the dependency between the two families, despite the racism of the era. It captures the hard work and frustration of farming, and the tired resignation of blacks in the days before civil rights. The friendship between a returning white veteran and black veteran sparks a crisis, while offering a glimpse of the future. Fans of "Better Call Saul" and "Breaking Bad" will note Jonathan Banks as a hostile patriarch. Mary J. Blige has earned awards buzz as the sharecropper family matriarch. "Mudbound" tells its story with assurance and a steady hand. "Mudbound" 3½ stars. Does it deliver what it promises? Epic story of the 1940s South. It is entertaining? Good storytelling. Is it worth the price of admission? One of the year's award contenders.